Arsenal are planning a move for Ismaila Sarr. 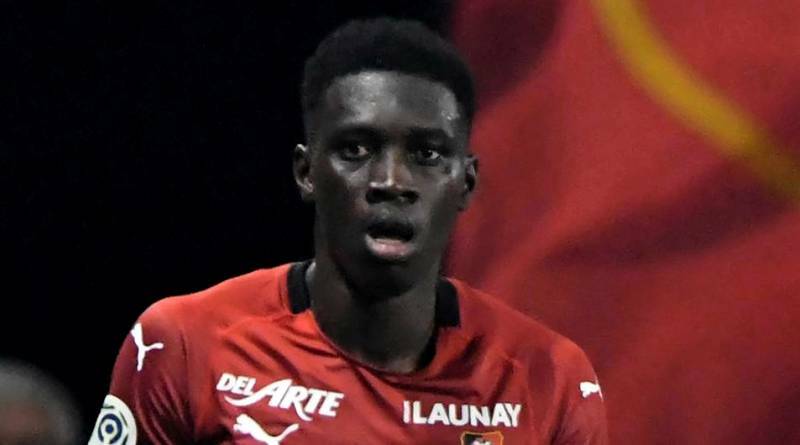 According to the football transfer rumours in British media, Arsenal are monitoring Rennes star Ismaila Sarr. The Senegal international joined Rennes from Metz for a fee in the region of 17 million euros in July 2017. His contract expires in the summer of 2021. Since his arrival from Metz, Sarr has scored 8 goals and provided 5 assists in 34 games for Rennes, including 3 goals in 7 games in all competitions this season. The 20-year-old is considered to be one of the best wingers in Senegal. As a member of Senegal national football team, Sarr won 19 caps and he scored three goals. His performances have seen him become the target of many European clubs including Arsenal. Unai Emery is looking to shore up his attacking options and Rennes’s Ismaila Sarr happens to be a target. The Senegal international is a player who has impressed many European clubs in the last two seasons, and it is understood that Arsenal manager Unai Emery would prefer playing him as a winger. Rennes are not in a position where they need to sell and would like to keep hold of the winger, but right offer may force the club to consider a deal. If Sarr turns out to be a star like many expect, it could be one of the club’s smartest transfers. Arsenal fans would certainly love to see him arrive at the club this winter.